Methods: Using a B cell antigen tetramer, La13-27 autoreactive B cells from the spleens of B6, autoimmune wild-type (WT) BXD2, and BXD2-Il17ra–⁄– mice were analyzed by FACS for the development of CD93+ transitional B cell subsets. Intracellular phospho-flow was used to determine levels of phospho-p65 (p-p65) and total phospho-tyrosine following anti-IgM (5 µg/mL) stimulation at different time points. Super-resolution molecular imaging (STORM) was carried out to visualize p65 and p50 in BXD2-Il17ra–⁄– B cells. WT BXD2 and BXD2-Il17ra–⁄– were treated in vivo with AdIL-17 or AdIL-17RA:Fc to enhance or block endogenous IL-17RA signaling, respectively. Activation vs anergic responses were assessed by Dojindo cell survival assay following anti-IgM stimulation. Results: There was an enhanced BXD2-Il17ra–⁄– transitional B cell anergy phenotype in vivo, which was characterized by a normalized La13-27+ transitional B cell development compared with WT BXD2. BXD2-Il17ra–⁄– B cells further exhibited strong anergic responses to BCR or TLR7 stimulation in vitro. The strong anergic phenotype of BXD2-Il17ra–⁄– mouse B cells was associated with a dramatically enhanced nuclear expression of NF-ĸB1 (p50) and down-modulation of NF-ĸB p-p65. Super-resolution imaging supported increased p50 homodimer presence in the nucleus of BXD2-Il17ra–⁄– B cells relative to WT BXD2. In vivo injection of AdIL-17 in pre-disease BXD2 mice enhanced anti-IgM induced survival and anergy loss. Surprisingly, despite normal expression of BAFF-R on transitional and mature B cell subsets, BlyS cannot reverse the anergic response of BXD2-Il17ra–⁄– B cells to BCR stimulation. Analysis of the expression of IL-17RA in the B-cell subsets in BXD2 mice showed that IL17RA is strongly upregulated in transitional T2 (CD93+IgM+CD23+) and germinal center (PNA+Fas+) B cells. Single cell analysis of T2 B cells revealed the co-expression of Il17ra with B-cell activation gene, Bclxl. Conclusion: Our results suggest that, in BXD2-Il17ra–⁄– B cells, the anergy phenotype is established at the transitional stage. In these B cells, stimulus-specific transcription repressive p50/p50 homodimers may act as a master transcriptional regulator to counteract pro-activation/survival NF-ĸB signaling provided by other major B-cell stimulators. Reagents that can promote the NF-ĸB p50/p50 repressome complex may be a novel strategy to enhance B-cell tolerance for autoimmunity. *(Supported by NIH R01AI071110, R01AI083705, P30AR048311, T32 AI007051, VA Merit Review grant 1I01BX000600, Lupus Research Institute, Lupus Foundation of America. Il17ra–⁄– mice were a generous gift from Amgen). Disclosure: J. Hamilton, None; Q. Wu, None; P. Yang, None; B. Luo, None; W. Won, None; S. Liu, None; J. Li, None; H. C. Hsu, None; J. D. Mountz, None. Hamilton J, Wu Q, Yang P, Luo B, Won W, Liu S, Li J, Hsu HC, Mountz JD. IL-17 Receptor a Signaling Impedes NF-ĸB p50/p50 Repressor and Subverts B-Cell Anergy in BXD2 Mice [abstract]. Arthritis Rheumatol. 2016; 68 (suppl 10). 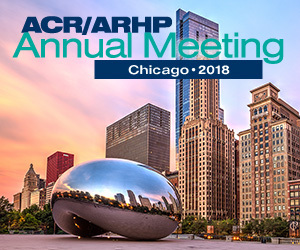 https://acrabstracts.org/abstract/il-17-receptor-a-signaling-impedes-nf-kb-p50p50-repressor-and-subverts-b-cell-anergy-in-bxd2-mice/. Accessed April 21, 2019.